These Jungle Grubs are exclusively H/H and H/S. I noticed that these are pretty low rated for battle. One combo that I like is the goo followed up by kun-li runts. Makes for a pretty devisating combo that doesn't allow people or npc to switch out dazed pets, which happends more than not with the runt. I will hug him and love him and call him George! Yep, got a rare here too, didn't know they added that but that saves me a battlestone! I can also confirm that rares are now available. Just now, got a LVL24 (bumped to 22 or course) Rare along with a Savory Beetle and Shore Crab. I was in Krasarang Cove when I got this. Yay, one more! These are definately fixed now. I was using these guys due to the fast respawn and easy to solo battles as a way to lvl some lvl 21+ pets along side some low lvl pets (swapping in for 1 round) splitting the xp between the two and managed to get 2 rares here rather quickly. Does anyone know if this has been fixed with patch 5.1? Can anyone confirm having gotten a rare after the patch? Really hurts to do this, but looks like I'm forced to add an uncommon to my collection here. Trying to stick to only following a pure collection with Rares, but this (and, apparently my poor Red Cricket) is affronting my retentiveness...not to mention that I probably cycled through a couple hundred of these before noticing the trend. Really happy I checked these reviews out. 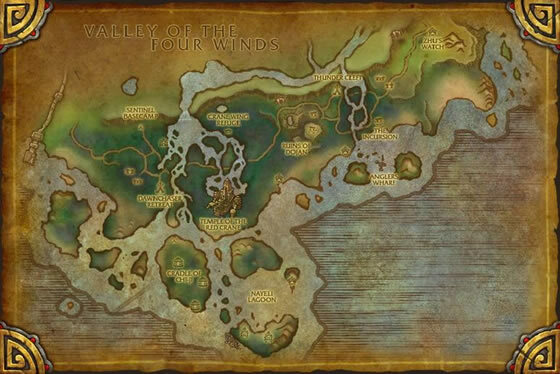 Today I decided to work on Pandaria Safari. I try to do rares only, though there are exeptions. Battled for about an hour today before coming here - all greys, commons and uncommons, not a single rare. I have hunted for them before too and it was the same so I am inclined to believe that as of now, rares of these may not actually exist, that or they are super, double duper rare. Same here... over 60 fights all were green (Uncommon). At least, I've leveled over 12 pets from 21-22 to 24. Like all those before me, no rare to be found. I've currently checked over 300 of them, nothing. 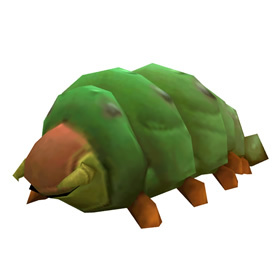 These little green grubs are native to wilds of Pandaria. Its verdant coloration camouflages it from would-be predators.